Top area bicycle retailer, and bike share provider. Revolution is active in many bike related organizations and efforts. 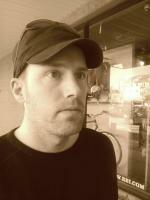 The developer of Xploritall worked at the Revolution Rockville location, and was a member of the bike racing team. Check out Revolution's locations in Rockville (MD), Clarendon (VA), Stafford (VA), Georgetown (DC), and the City Hub in Arlington (VA). M-F 11am-8pm, Sa 10am-6pm, Su 12pm-6pm.